Ok so it might be a man-made beach but it’s awesome. 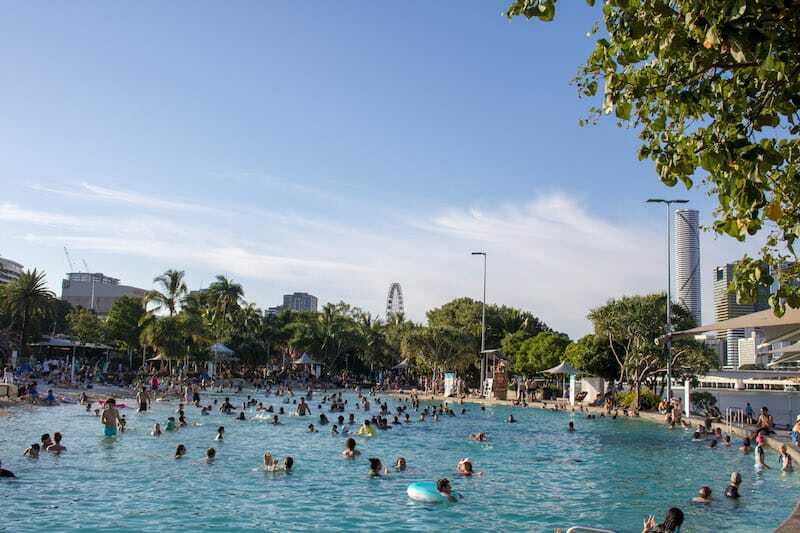 Located on the South Bank “Streets Beach” is a massive lagoon with plenty of sand to find a spot to lay your towel down. It’s always nice to sit on a beach in the middle of a city eh? Unbelievably Brisbane provides free ferry transport. This means you can see the city from a different angle whilst cruising down Brisbane River. You can hop on and off the CityHopper (the little red boats) at North Quay, South Bank 3, Maritime Museum, Thornton Street, Eagle Street Pier, Holman Street, Dockside and Sydney Street terminals. The ferries run every 30 minutes or so from 6am until midnight every day of the week. There are lots of farmers markets around Brisbane, some during the week and more at the weekend. Loads of fruit, veg, artisan crafts, jewellery, flowers and books. One of the better known are the Jan Powers Farmers Markets on a Wednesday at the top of Queen Street and on Saturdays at the Powerhouse. It’s hard to visit Brisbane and not see free live music. You’ll find local and touring bands all over Brisbane courtesy of City Sounds, ‘Australia’s largest free live music programme’. Queen Street Mall and Post Office Square is where you’re more likely to find them although there are other locations around town too. It’s always nice to get away from the bustling city and chill out in a central park for a while. New Farm Park is located on the river bank, so as well as watching city folk wandering the park you can also check out people passing by on boats. Queen Street Mall is a pedestrianised area with loads of shops and arcades to explore. You’ll find big name stores as well as plenty of events happening. Make sure to check out Wintergarden, a big shopping centre over 3 levels, with lots of specialty stores inside. Located a little way out of town the lookout at Mt Coot-tha has fantastic views of Brisbane. A lovely way to start the day. After watching the sunrise, head to the Mt Coot-tha Botanic Gardens. They’re open from 8am and there’s plenty to explore in these sub-tropical gardens. 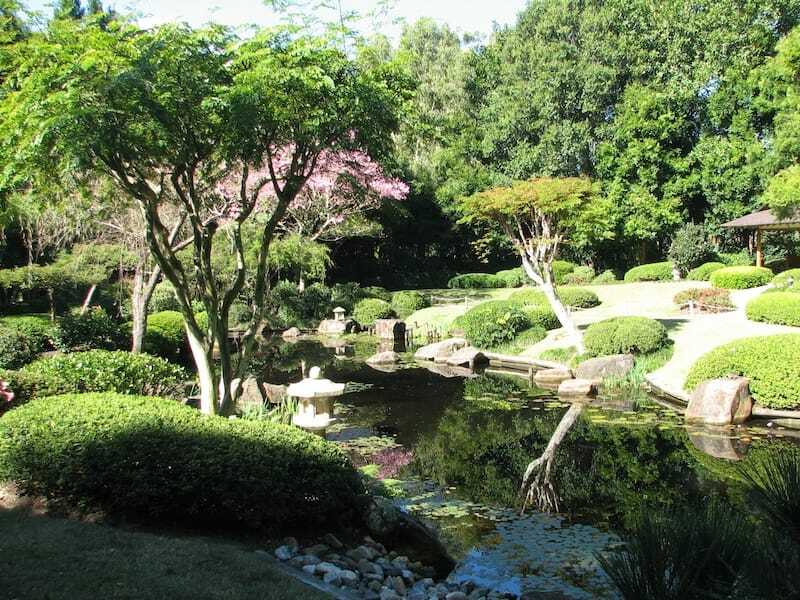 Check out the Japanese Garden, the waterfalls, the tropical dome and the fragrant garden amongst others. Head to the lagoon and Bamboo Garden to check out loads of wildlife including water dragons. Head to the South Bank Cultural District and go to Queensland Art Gallery | Gallery of Modern Art (QAGOMA). You’ll see a lot contemporary art from Australia, Asia and the Pacific but also from other places too. The gallery is located in 2 buildings in South Bank. Located at the end of George St is the QUT (Queensland University of Technology) Art Museum to see all kinds of art and sculptures by Australians. 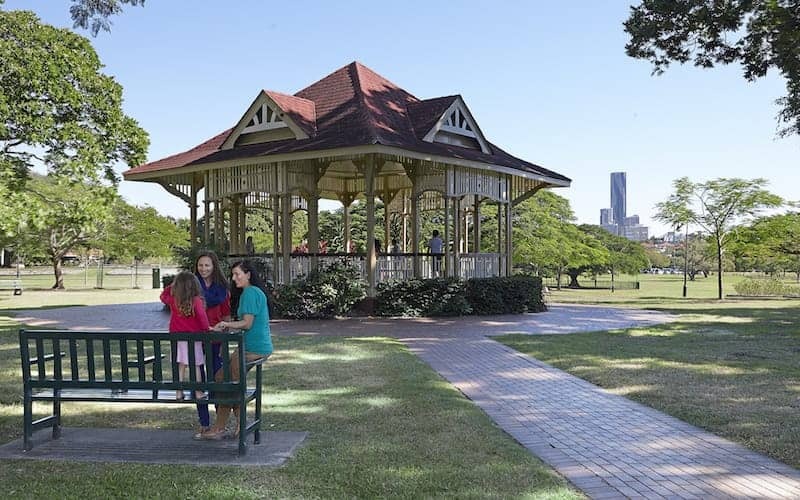 Roma Street Parkland is a beautiful park just a short walk from Nomads Brisbane. There are loads of events held there that you might be lucky enough to be in town for or just make use of one of the free-to-use electric barbecues after exploring the plant displays and artwork. For your best chance of seeing several waterfalls in one day you’ll need a car. Drive to Lamington National Park, it’ll take you about an hour and a half to get there. There are several different routes you can take through this ancient rainforest, with spectacular mountain views and lookouts to enjoy. Morans Falls is your number 1 instagram selfie spot, although if you’re in the mood for a hell of a long walk try to get to Mirror Falls! 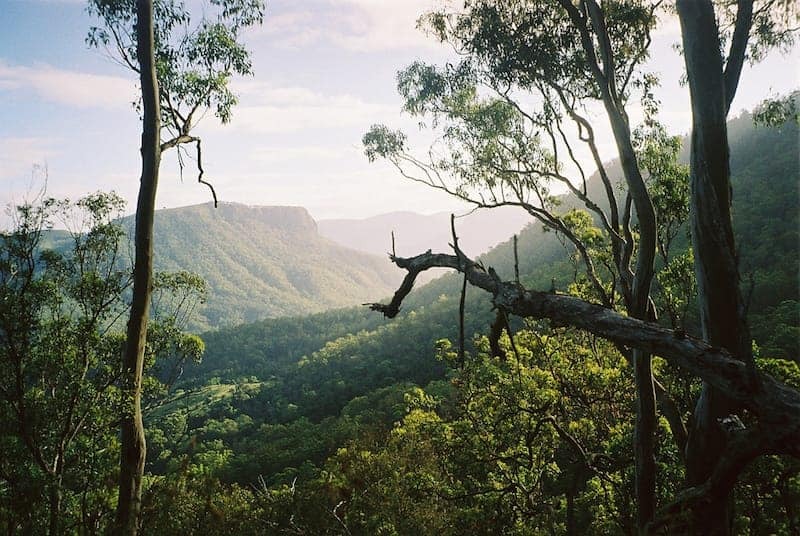 If the walking around Lamington National Park wasn’t enough hiking for you then there are several other hikes you can do. One of my favourites is a 6km walk through Brisbane Forest Park. This walk includes swimming through 2 gorges, so take a change of clothes, a towel and make sure you go on a warm day! For lots of hiking and walking trails close to Brisbane click here. Head to Wellington Point (you’ll need to drive or catch a bus) and if you time the tides correctly you can walk out to King Island. It’s a 2km round trip and your feet are likely to get a little wet but it’s a must do in Brisbane. For a bit more culture why not take a free tour of Parliament House? 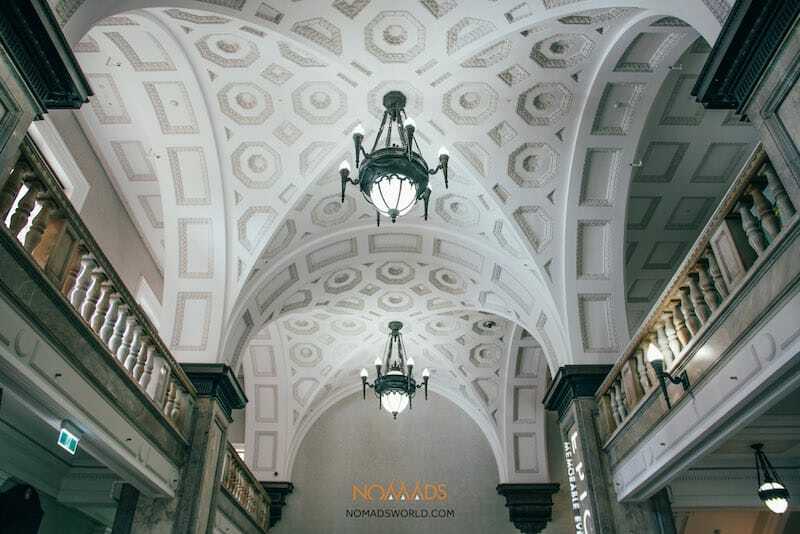 It’s a beautiful building which features gold leaf decorations and an impressive staircase as well as a fully restored interior. You can also view the antique collection or even watch parliament in action from the gallery. The Museum of Brisbane is located in City Hall. 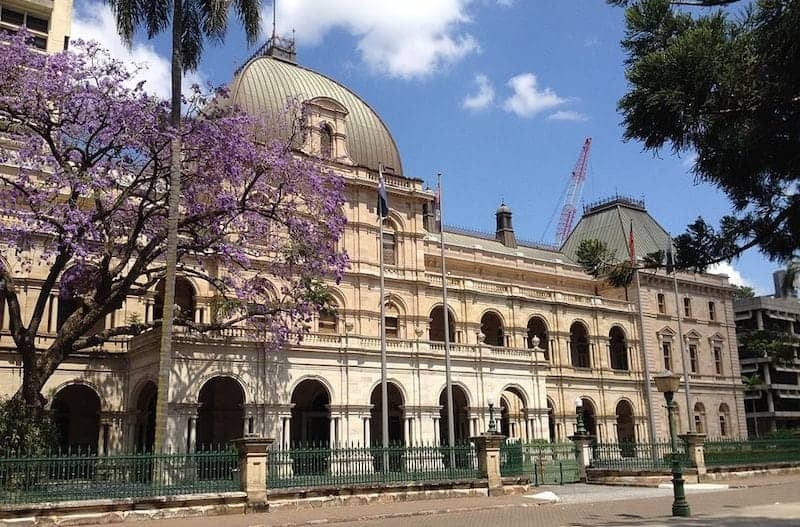 Take a free tour to learn about the history of Brisbane. And while you’re there why not go up the clock tower to get a great view of the city. If you like museums, science and nature then head to the Queensland Museum. They have an interactive area where you can take part n experiments or just play with the displays. The museum itself shows a history of human achievement, natural history, science and cultural heritage. 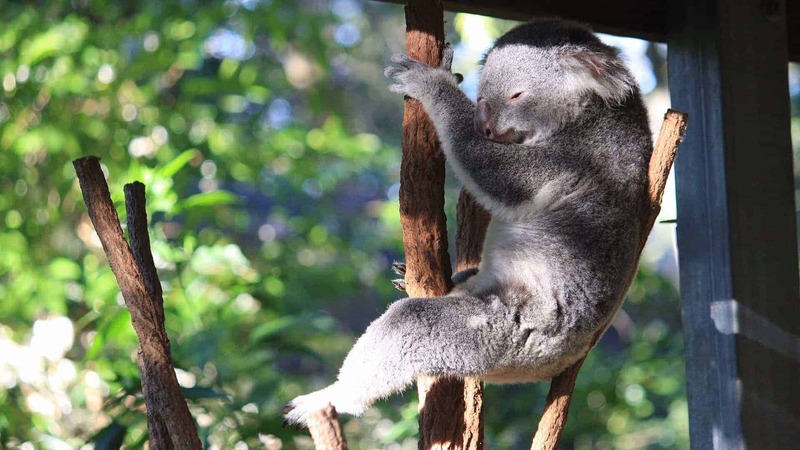 Lone Pine Koala Sanctuary is an awesome place to visit but if you’re short on cash then it is possible to see koala’s at Daisy Hill Koala Centre. It’ll take you just over an hour by public transport or about 30 minutes by car to get there. You can’t cuddle a koala here but there are plenty of photo opportunities of koala’s in a natural outdoor setting. And there’s an education centre so you can learn all about koala’s too. The Brisbane Riverwalk is an absolute must do. The path is split into a cycle lane and a pedestrian lane and begins at RiverCourt View. Cycle on the river until the walkway ends at Howard Smith Wharf Precinct. You can actually carry on along the City reach boardwalk if you like. Although this is not on the river itself it’s got great views. You’ve probably heard about Melbournes graffiti laneways but did you know that Brisbane also has some pretty good street art? There are quite a few locations where you can find street art (as long as it hasn’t been painted over). Here’s a pretty good guide to Brisbane Graffiti. As well as Brisbane’s awesome City Sounds programme, there’s live music at South Bank and Roma Street Parklands. Pack a picnic and relax to sweet tunes from 2pm until 7pm at South Bank on the first Saturday of every month. Or from 9am to 12 noon at Roma Street Parklands on the first Sunday of every month. 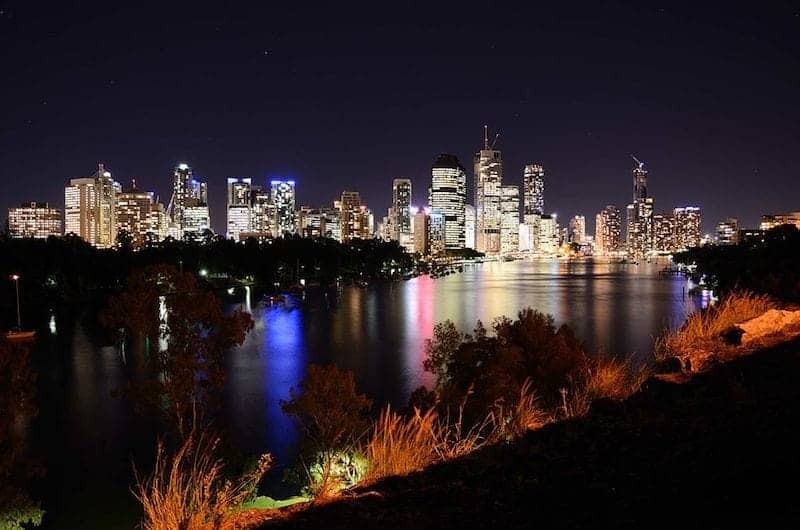 Yes, even more free things to do in Brisbane, but these ones are good to do at night! Yes really! 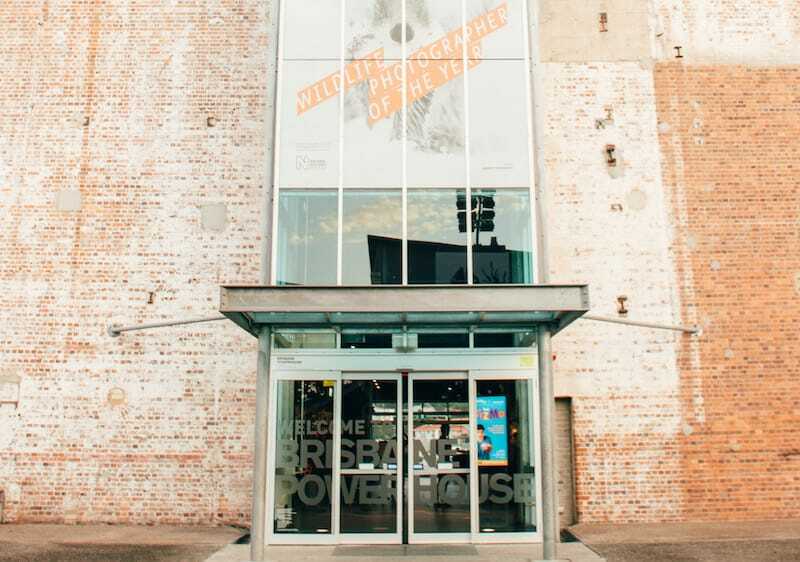 Every Friday night from 6pm enjoy an hour of free comedy at Brisbane Powerhouse. What a great way to start your weekend! You can obviously do this at any time of day, but seeing Brisbane lit up at night is a treat and this is a great lookout. 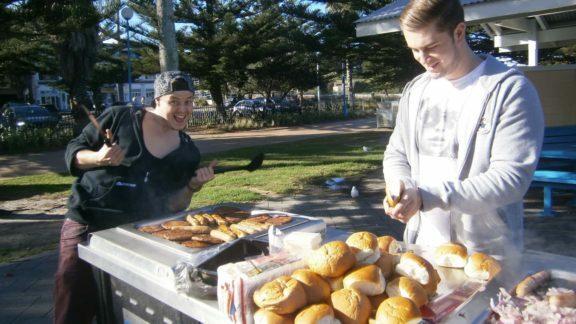 Sit at the Base of Kangaroo Point Cliffs and make use of the barbecues, tables and chairs. You get great views of the Captain Cook Bridge, Story Bridge, mangroves, the City Botanic Gardens and downtown buildings across the river. You can also check out the sculptures along the rivers edge. Having watched the sunrise at Mt Coot-tha why not watch the sunset too? You’ve got a few to choose from depending on what you’re looking for. 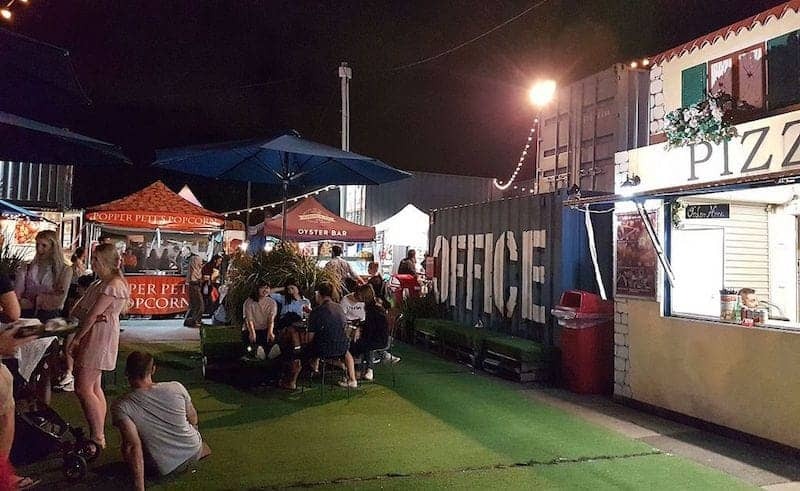 Boundary Street Markets – Every Friday from 4-10pm. Live music, food stalls, jewellery, vintage and retro fashion and more. The Collective Markets Southbank – Every Friday from 5-9pm (Saturdays 10am-9pm / Sundays 9am-4pm). Live music, cafes, jewellery, art, homewares and more. Brisbane Twilight Markets – Friday from 5-9pm (normally the first Friday of the month). Live music, 100% locally handmade products, local food vendors and even a free craft workshop. You might have seen the view from the clock tower during the day after visiting the Museum of Brisbane. But one night a week (Friday 5pm – 7pm) you can also go up there and see Brisbane at night. Brisbane Clock Tower – the inside is pretty nice too! And our final free thing to do in Brisbane at night, but not the end of the list by any means. Wilsons Outlook at night. There’s a BBQ here, but only one so to be sure of eating bring a picnic. Wilsons Outlook is a small ‘park’ with a massive view. 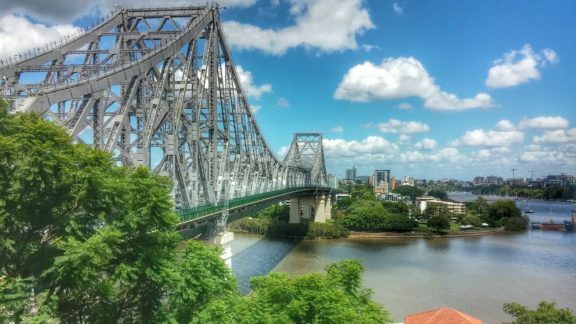 Enjoy the views of the city, the river, Story Bridge and Kangaroo Point. Heading to Brisbane? Stay at Nomads Brisbane Hostel. 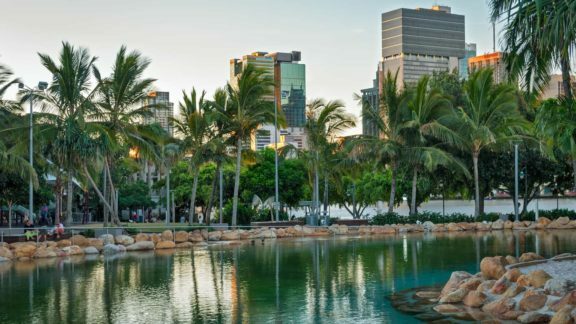 Need more reasons to visit Brisbane? 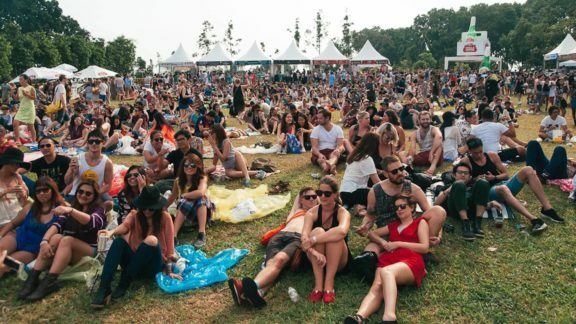 These 27 free things to do in Brisbane should keep you busy for a while. 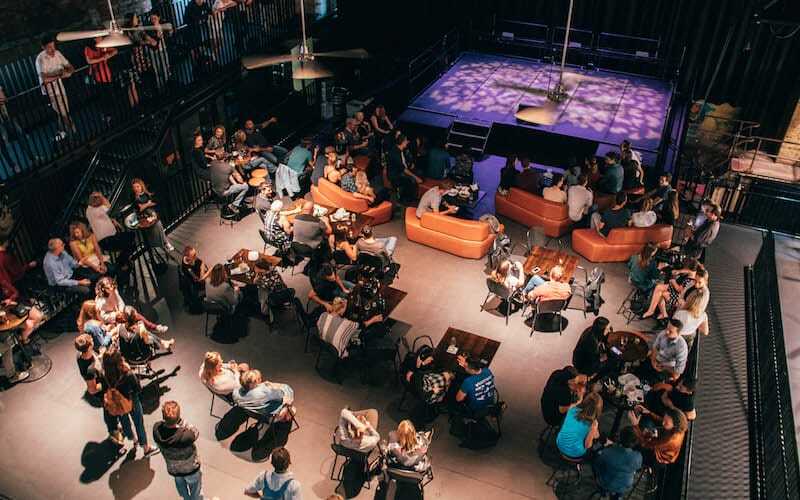 Ask the staff at your hostel for their recommendations of what to do for free in Brisbane because actually, there’s quite a bit more, depending on what you’re into!